Main lodge houses the restaurant, 2 patios, lounges and a bar with an upstairs lounge. The main pool is situated near the outdoor bar and the two private villas each have their own private pools, one with a sunbed. 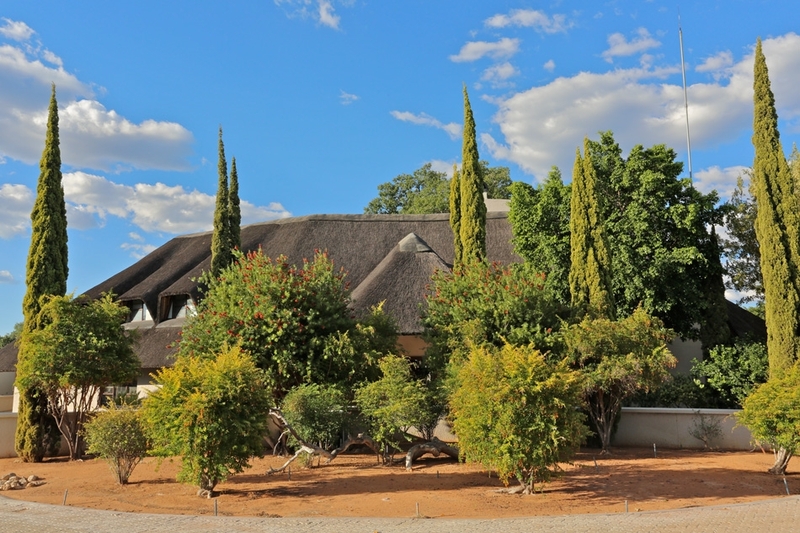 The waterhole is viewed from the bungalows, swimming pool and the outdoor entertainment area. The outside Lapa has a picturesque view of the waterhole. 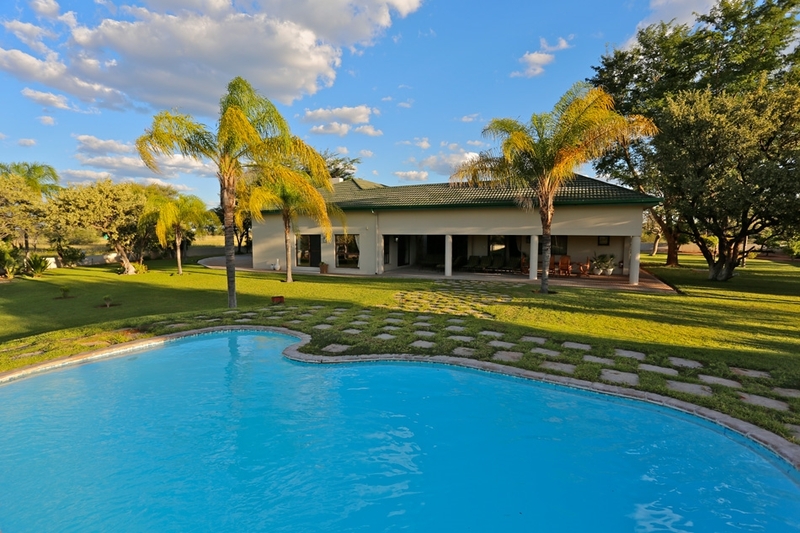 The outdoor entertainment area houses a bar, built in braai/ BBQ, a fire pit and lovely lounges from which you may enjoy the sunset while sipping your ice cold drink. We offer several different lounge areas, some more private for those seeking some serenity and others allow for great family time. 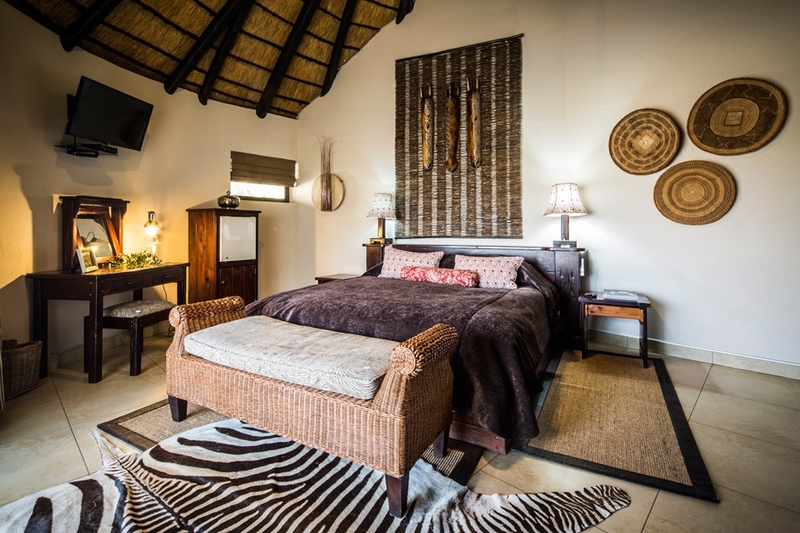 The Private Villa, nestled in the transitions from grasslands to Acacia thickets, chalky plains with islands of Makalani palms in an area of 10000ha, is situated only 500m from the main lodge. Nestled amongst chalky plains with islands of Makalani palms towering in the sky and Acacia thickets wrapped with endless grasslands, you will find the hidden Guest House.